U mad? U mad? U mad? U mad? Yeah, you mad. If you are a fan of memes, and a fan f this classic question, then you will be in love with this shirt. You might as well get it now. If you don't, you'll be mad, bro. 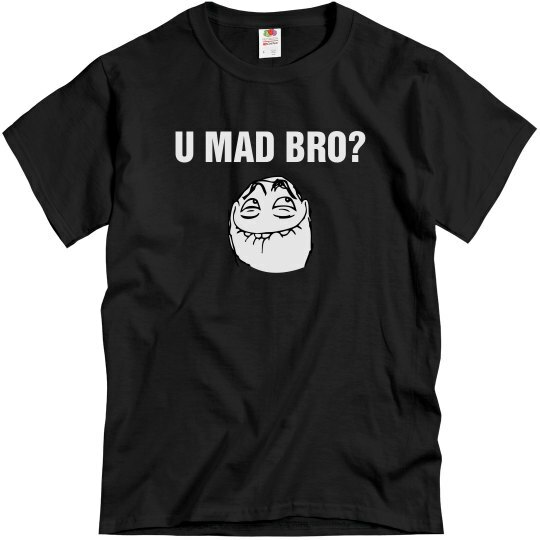 Custom Text: U MAD BRO?